Hensoldt, Wetzlar (manufactured at ISO, Milan). No. 5232, high-grade precision camera in the style of a Leica. Integrated rapid wind baseplate (similar to Leicavit), focal plane shutter 1 - 1/1000 sec., diopter adjustment, etc. With rare ISO IADAR 3.5/5 cm lens. 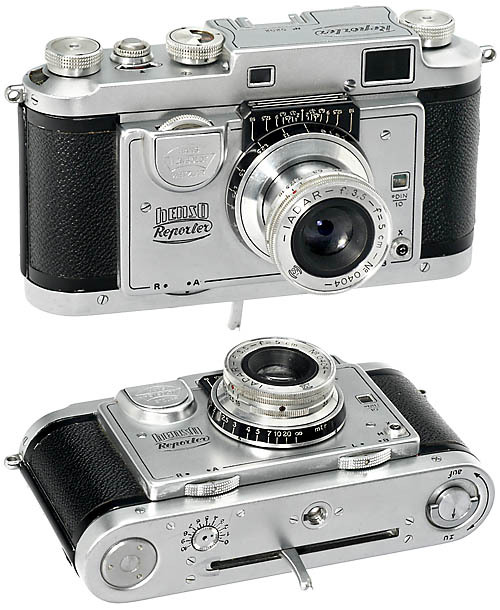 Beautiful, exclusive and much sought-after 35mm camera in mint cosmetic condition.